Your wedding is an occasion that marks a profound change in your life. Celebrate it in your own way! Create a ceremony that sets the tone for the rest of your lives together! I specialize in designing, with you, a wedding ceremony that is unique to you as a couple. It may be short and simple or magnificent and elegant. It can be a civil ceremony, or a traditional or contemporary service. Transitions in our lives are important times to consider our values and establish our intentions. When we consciously choose what we want to experience, we enhance our ability to manifest it. Nothing can effect your happiness more than the way in which you honor your marriage partnership. I can assist you in articulating your vision for your future together, to declare as you wed, defining your connections as a couple within your family and community. 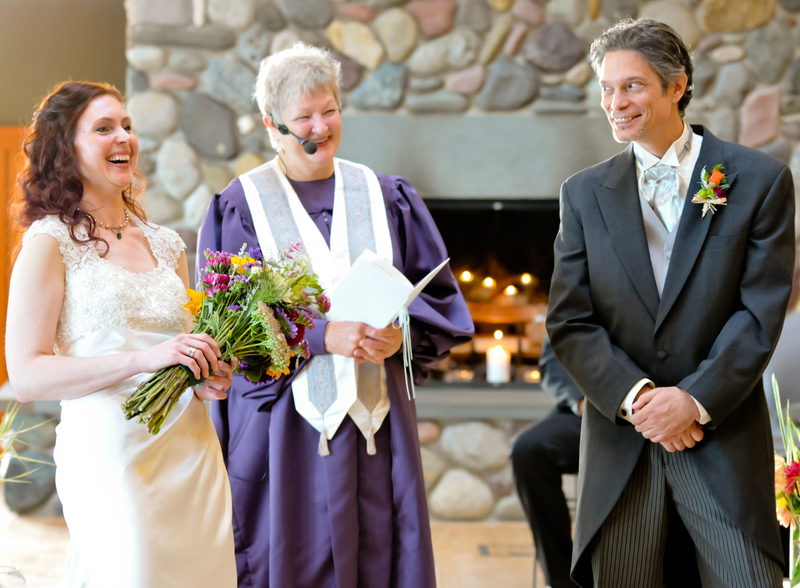 Your wedding ceremony can include special family traditions or cultural customs. It may be indoors or outdoors. 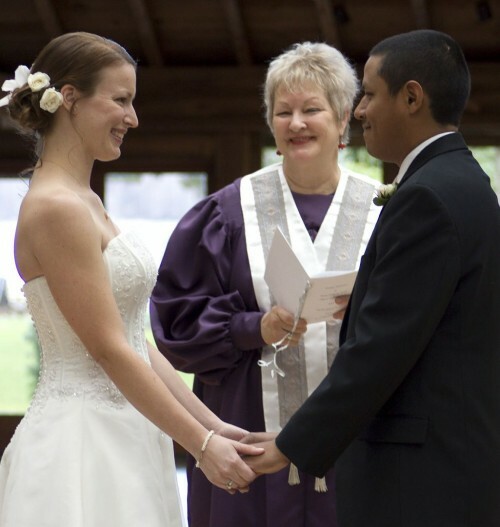 You may write your own vows or choose from a selection of vows in different styles, revising to suit you. You may include family and friends in the ceremony or not. Spiritual practices or rituals may shape your celebration. Endow your marriage commitment with the grace of Spirit by acknowledging the divine influence of your conscious intention and ceremony as it is meaningful to you. During a complimentary consultation we can discuss your story as a couple, your preferences, what you cherish in one another, your aspirations and what and who you want to recognize on your day of joining. I can offer you several choices for wordings for each part of the ceremony and suggest readings or songs you may want to include. You can write your own vows or select from a number of options. Most of these services are performed at your site of choice. Contact Rev. Amy to discuss and schedule any of the services listed here or to request a special service customized for your purposes. I invite you to take this opportunity to consider your mutual values and desires and work with me to design a wedding that will declare and honor your intentions for a future of happiness and fulfillment. 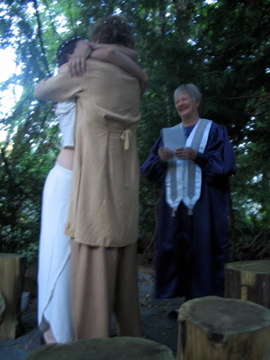 You will have a personalized ceremony that gives your commitment as a couple the blessing and meanng that spiritualized intention infuses within it! The ceremony will be performed at your site of choice. Contact Rev. Amy to start your planning!